The prestigious international competition brings 100 breathtaking nature and wildlife photos to Toronto's Royal Ontario Museum. The Wildlife Photographer of the Year exhibition is coming to Canada bringing some of the finest images of the natural world to Toronto's Royal Ontario Museum. The world-renowned collection, on tour from the Natural History Museum in London, features 100 winning images from amateur and professional photographers from around the globe. The best were selected from more than 40,000 entries by a panel of international judges. "This is clearly the most prestigious wildlife photography contest in the world," said David Ireland, the ROM's managing director of biodiversity, who helped design the exhibition's engagement at the museum. "They way they're displayed is on a vinyl panel with Plexiglas covering with LED lights behind them," explained Ireland. "We've also dimmed the whole space so that the LED lights behind the photos are the predominant light source, so the images just pop out at you." 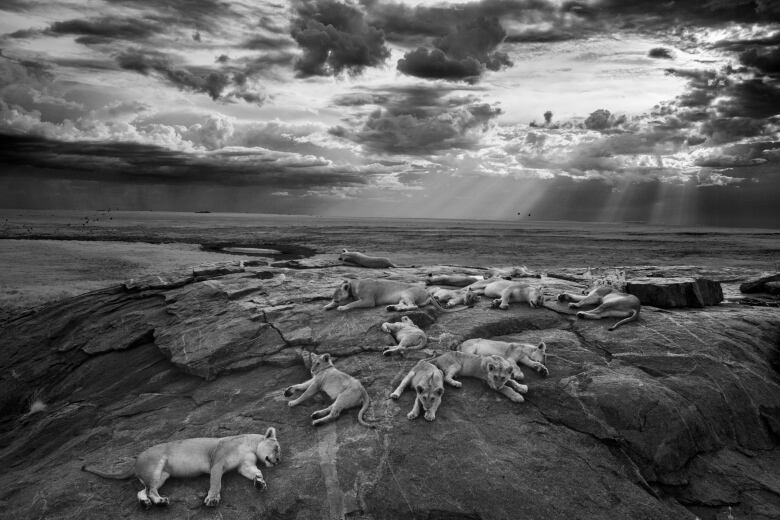 National Geographic photographer, Michael "Nick" Nichols was the overall winner with his image of a pride of lions in Tanzania’s Serengeti National Park. Titled The Last Great Picture, Nichols tracked the animals for nearly six months before he finally got the perfect shot. The competition's youngest winner is Spain's Carlos Perez Nava. He was just eight when he snapped his winning photograph of a scorpion, called Stinger in the sun. Shooting since he was five, Carlos knew to shoot the background using a fast speed so as not to overexpose the sun. 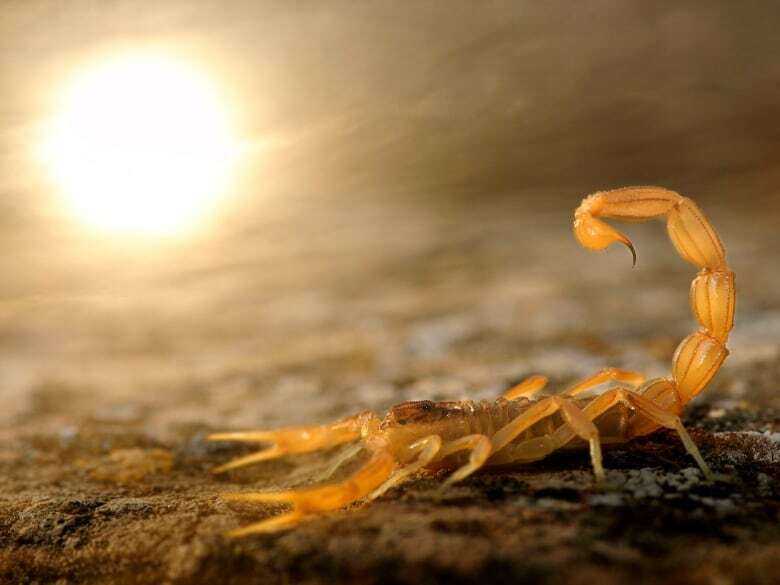 He then shot the scorpion using a low flash in the golden, late afternoon light. New Brunswick's Nick Hawkins is one of two Canadian finalists. His photograph, Dinner Party, captures black vultures feasting on the carcass of a large green turtle on a beach in Whale Bay in Costa Rica. The Wildlife Photographer of the Year exhibition is now in its 50th year and its second year at the ROM. The museum is offering special content not seen at other stops on the tour. "This year we've included a lot more family-based, hands-on content," said Ireland. "There's a whole space we're calling 'The Nature Reserve' where the kids can come in and take selfies with Great White Sharks, touch 3D prints, get close to a taxidermy lion and take a selfie with that, too." There are also three hands-on attractions inside the exhibition to teach children about photography and biodiversity. The Wildlife Photographer of the Year exhibition runs from Nov. 22 to March 22, 2015. Tickets are $7.00 for adults, $5.00 for students and seniors and $3.00 for children aged four to 14 years, plus the price of general admission. Preview some of the breathtaking images in the gallery above.